The French, as usual, got it right when they first used the word “gastronomie” to define both, the fine art of cookery from, say Provence, as well as the art and science of good eating, which the Greeks knew before them, revelling in matters of the stomach. The magnificence of Grecian understanding—thanks to the Socratic voice—also brought about the understanding of beauty and all things aesthetic, and the pleasure resulting from all things beautiful. As in food, so also in art—its practice and appreciation—and, as a result, in music; and as in Greece, so also in the Europe that followed down the ages, and the Africa; and as one era passed into the next, the colonial era passed into the hearts and minds of all the colonised, aestheticism came to be something truly special in Brazil. Proof need not be provided, yet it is from time to time… So also is it in the pianism and music of Antonio Adolfo, in his extraordinary music on Finas Misturas. Only in Brazil could it be called so; for only in Brazil could the music, like the spice of food, be ground so fine as to produce something so beautiful and tasteful as this: something that came from Europe, something from Africa and something hidden in the rhythms that rushed like wind through the trees humming symphonically in the dense undergrowth across the rampant forests and the tumbling, whistling and scrubby bush of the sertão, when only the Indians owned the land. Fine mixture indeed. Like a master chef, holding all the secrets to great recipes, Mr. Adolfo directs the addition of the herbs and spices that turn a great recipe into superb music. His hand is even as it tips the ingredients into a bubbling pot in which the music is constantly cooking. Miraculously, Mr. Adolfo is remarkably restrained, soloing rarely and then too, in short bursts, as if to gently push the music in a newly magical and mysterious direction. Almost always his playing has hushed tones, as if his body/the music is breathing in revelatory gasps as his heart sparks nervously to the fibrillating rhythm of his songs. His harmonies, never tentative, are aided and abetted by the guitars of Leo Amuedo, or Claudio Spiewak; the assured rumble of Jorge Helder’s bass and the delicate trip-trap, and sizzle and bop of Rafael Barata’s drums. Mr. Adolfo solos in short bursts. His musical lines are darting and gorgeous. They leap like playful gazelles and they pirouette like exotic and colourful younglings blurred by the speed with which they launch into their dances, egged on by single notes and sliding ones, interspersed by triads and arpeggios. He also shares the lead voice with Marcelo Martins, who plays as if he is, himself, dancing in the shadow of the pianist; although in broad counterpoint so that there is a breathy rush of melody and harmony always hovering above the dusty shuffling of the samba, or in the sliding rhythms of the bãiao, or the Calango; or in the stately squaring off like partners entwined, then separating in a Quadrilha or a Toada. The album is dappled with original songs and those written by other masters reimagined in the rhythms of Brazil. The simplicity of the songs—both original and classics redone—is perhaps something that could pass for casualness. However, upon a deeper hearing it becomes obvious that there is considerable thought and complexity hidden away in the re-written melodies and harmonies, and, of course in the rhythms. “Giant Steps” is a case in point. Played at close to the pace of John Coltrane’s original piece, it twists and turns in a manner that befits the spinning and ducking and noble frolic of the Quadrilha, which it begins to embody as soon as the theme is stated. Keith Jarrett’s “Memories of Tomorrow” reappears as a gently swirling, softer and blissful Toada. The fluttering guitar played in odd time meters by Mr. Amuedo, whose widely spaced notes strut in row upon row of resonant notes that bounce off the pianist’s own, while the bassist plays in gasping, gentle gurgles undulating all through the Spanish tinges of the great Dizzy Gillespie’s “Con Alma”. The breathtaking beauty of John Coltrane’s lyrical “Naima” is elegiac, and blossoms again with a magical palette of colours at the masterful hands of Mr. Adolfo. The glassy beauty of Chick Corea and Neville Potter’s masterpiece, “Crystal Silence” and Bill Evans’ stately “Time Remembered” are absolutely magnificent. Every ounce of the magic of the originals is splendidly retained, while the subtle twists and turns invented by Antonio Adolfo give the music brand new and burnished harmonic dimensions. Mr. Adolfo’s own music, though devolving out of the soul of Brazilian music, is astoundingly worldly in the scope of its touchstones and influences. With the narrative ability of a film-maker, and the heart of a Japanese water-colourist, Mr. Adolfo also seems to create melodies as if they were inspired by balletic choreographers (masters from George Balanchine to Alvin Ailey come to mind) and dancers such as Rudolph Nureyev and Mikhail Baryshnikov. As a result, even as “Finas Misturas” unfolds, its melody morphs into a couple of dancers unwinding from embrace and this also influences the majestic bass solo—from its arco beginning to the staccato passages that ensue. “Misturando” describes the process of mixing—in song and in the prancing of the piano of its creator in the process of “making a delightful song and dance” come to life. “Tres Meninos” is a magnificent tale told in the vibrant tone that depicts the nature of the carefree living in the young years of life. 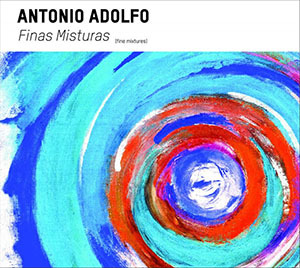 There is a maturity that is evident in the music of Antonio Adolfo. His album Finas Misturas puts a glorious stamp on this his singular art which emerges from the flavours and fragrances that are gastronomic in the sense that all fine art is mixed in the manner as only great epicureans and aesthetes can muster. Tracks: Floresta Azul; Balada; Giant Steps; Con Alma; Misturando; Memories of Tomorrow; Naima; Tres Meninos; Crystal Silence, Time Remembered. 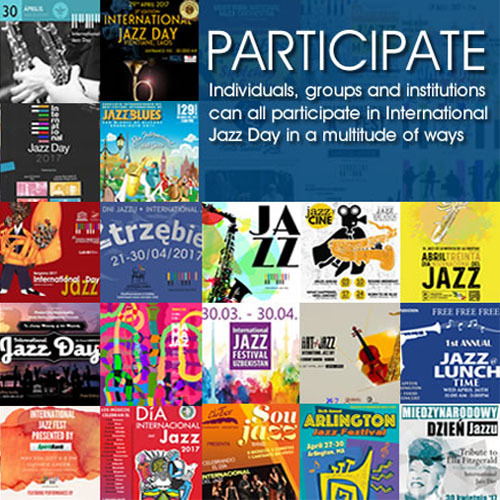 Personnel: Antonio Adolfo: piano; Leo Amuedo: electric guitar (1, 4 – 8); Claudio Spiewak: acoustic guitar (2 – 5, 9); Marcelo Martins: tenor sax, flute (1, 3 – 5, 7, 9, 10); Jorge Helder: bass; Rafael Barata: drums, percussion. Antonio Adolfo grew up in a musical family in Rio de Janeiro (his mother was a violinist in the Brazilian Symphony Orchestra), and began his studies at the age of seven. At seventeen he was already a professional musician. His teachers include Eumir Deodato and the great Nadia Boulanger in Paris. During the 60’s he led his own trio and toured with singers Elis Regina and Milton Nascimento. 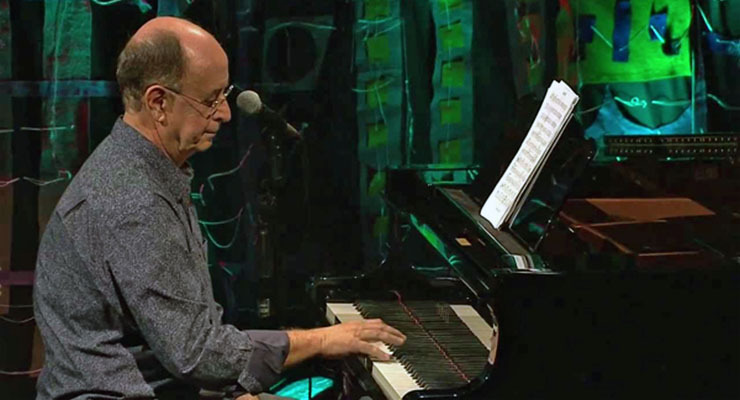 Adolfo wrote tunes that gained great success and have been recorded by such artists as Sérgio Mendes, Stevie Wonder, Herb Alpert, Earl Klugh, Dionne Warwick, and others. He won International Song Contests on two occasions. As a musician and arranger he has worked with some of the most representative Brazilian names, besides having released more than 25 albums under his name. In 1985 Mr. Adolfo created his own school in Rio, Brazil. His CD with Carol Saboya, Lá e Cá/ Here and There, follows in the footsteps of the 2007 live recording Antonio Adolfo e Carol Saboya Ao Vivo/ Live. Among his most recent studio recordings are Chora Baião (released in 2011) and Finas Misturas (released in 2013). Antonio Adolfo is currently conducting a music school in Hollywood, FL (USA) where, along with other instructors, he teaches Brazilian Music, Jazz, and Pop.